The diversity of wildlife in South Africa is truly amazing. Most people associate ostriches and elephants with Africa - it’s penguins that are the surprise. Take a day out to visit a penguin colony and be entranced by these smart black and white amusing birds. 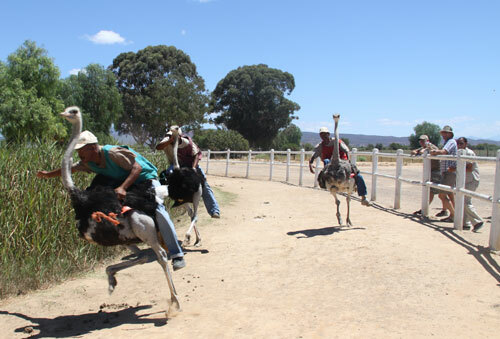 Ostrich racing is possibly something that hasn’t crossed your mind. You may not be up to racing one but can certainly watch a race and if you’re game and light enough, try to ride an ostrich. Elephants are one of the most majestic animals on the planet. They are a different beast in the wild compared with the semi-tame elephants we meet at the zoo and need to be treated with some reverence, especially if they are protecting their young.